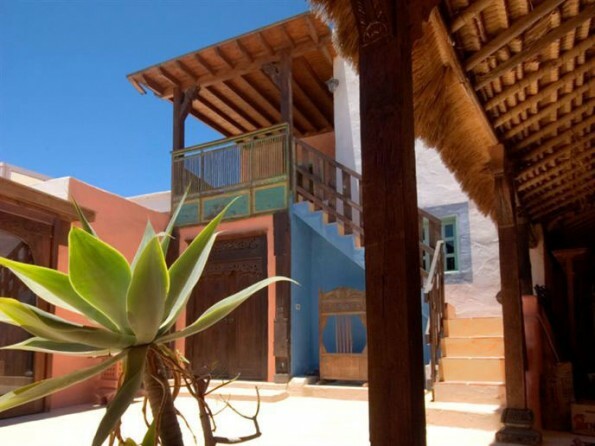 Situated in the valley of a thousand palms in the north of the island of Lanzarote, Casa Shanti is a typical Canarian village house which dates back about 200 years. 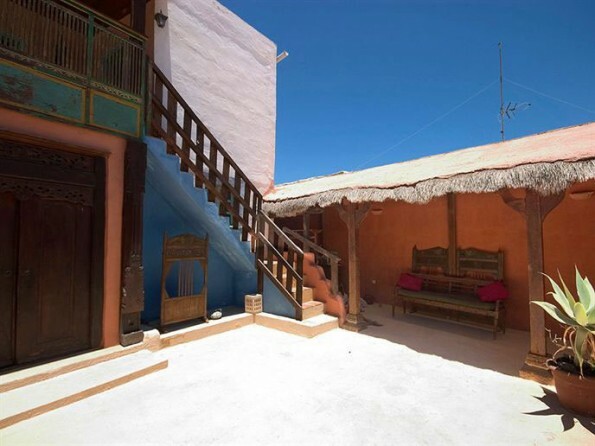 Come and enjoy colourful interiors, year round sunshine and an atmosphere of tranquillity. 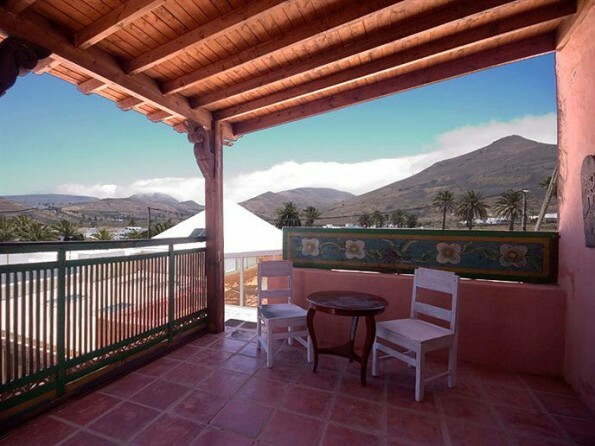 Just a short stroll from the house you will find the historic village of Haria with its artisanal market, and on the nearby coastline are the white sand dunes of Caleton Blanco and Orzola and the beaches of Arrieta and Mala. The island of Lanzarote is known for its volcanic landscapes and beautiful beaches, but it is also famous for its lively nightlife and world class architecture. You can easily spend your days picnicking, swimming, star gazing, wine tasting and bird watching, or you could get active and go hiking, cycling, horse riding, surfing, scuba diving, climbing, sailing, kayaking, golfing and deep sea fishing. And this is also a fantastic setting for photography, art classes and music. 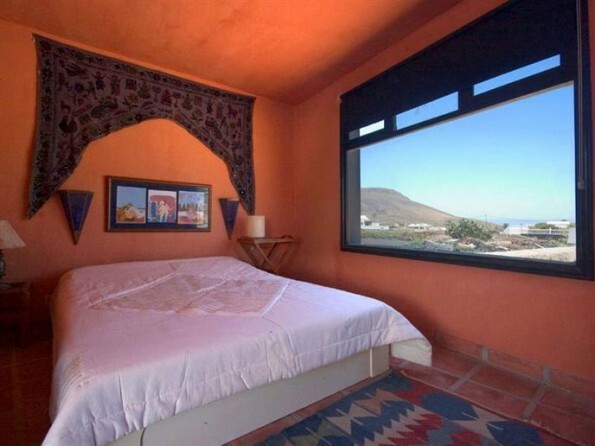 The house has three vibrant bedrooms with king size beds, two bathrooms, a large living room with Satellite TV and an open-plan kitchen dining area. The house benefits from a large patio with a jacuzzi / hot tub, a shaded area and various pieces of outdoor furniture. Minimum stay is 1 week. A non-refundable guarantee deposit is charged upon reservation. Cancellations may incur penalty fees.